04 May 2017	Offers at The Fragrance Shop! 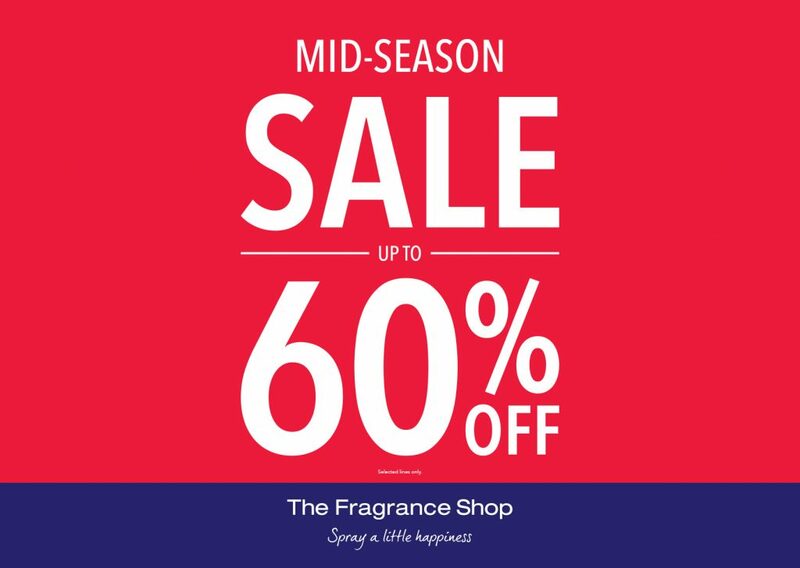 The Fragrance Shop ‘s Mid-Season Sale is in full swing, and it certainly does not disappoint. Bursting with celebrity and designer fragrances alongside great gift sets. With up to 60% off selected fragrance, there really is no excuse not to head down to your local store today. 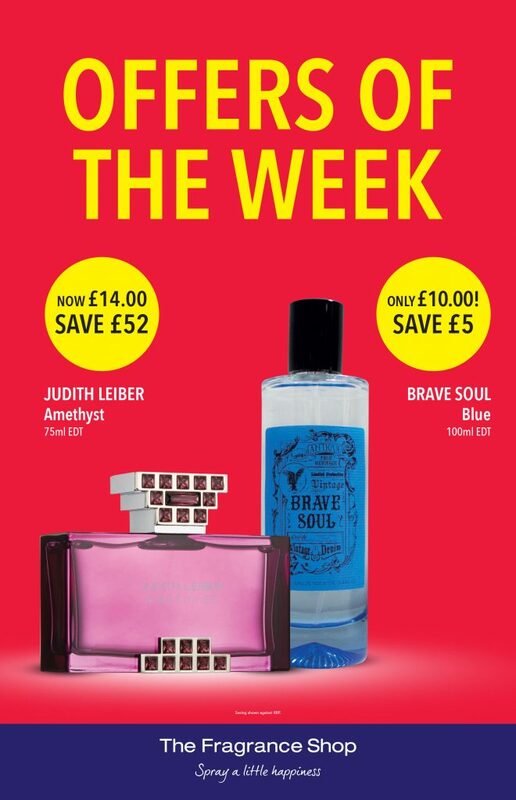 For a limited time only you can save £52 on Judith Leiber, Amethyst, 75ml EDT which is on offer for just £14. Grab a bargain while Brave Soul, Blue, 100ml EDT is on offer for only £10. If you’re looking to splash the cash a bit more, check out the selection of gift sets The Fragrance Shop are offering this Mid-Season Sale. 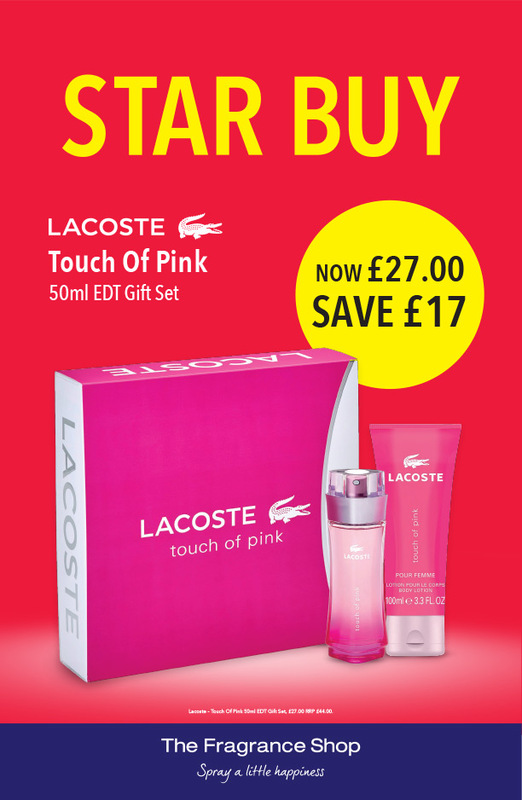 Lacoste Touch Of Pink, 50ml EDT gift set is now £27 and Dunhill Pure, 75ml EDT gift set is now only £18. If you want to grab a bargain you better be quick – these deals won’t be around forever!